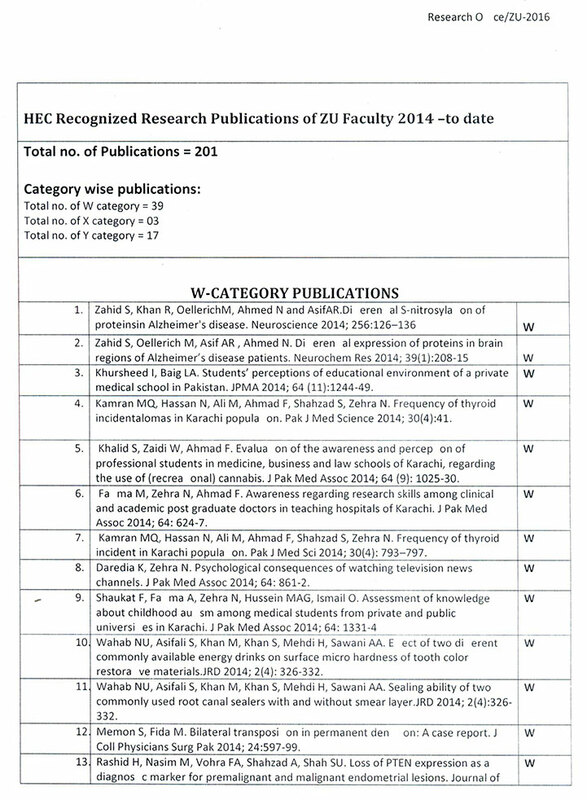 Office of Research, Innovation & Commercialization (ORIC) is operational at the Ziauddin University, Karachi. ORIC was established at the University in 2015, a propos guidelines of the Higher Education Commission (HEC), Islamabad for all Universities/DAIs of Pakistan to establish “Offices of Research, Innovation & Commercialization (ORIC)”. 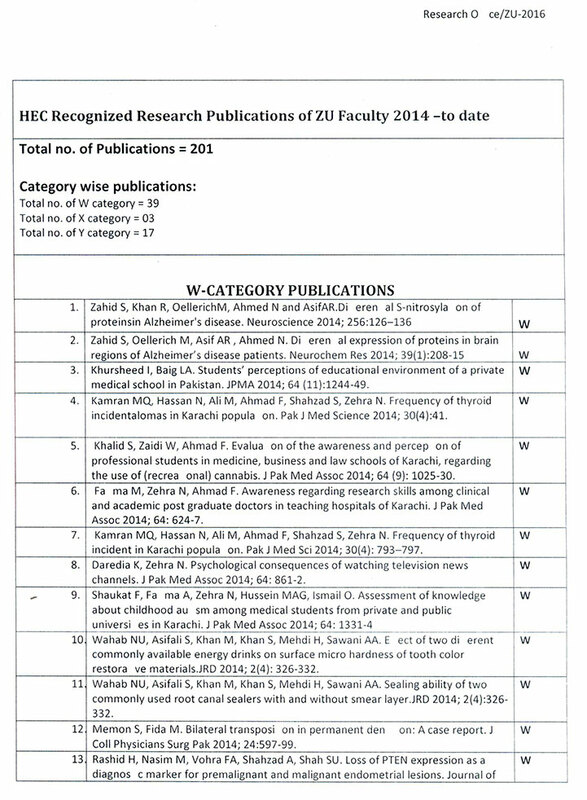 Research excellence in all fields of study is central to the mission of Ziauddin University and a pinnacle priority for the department of research, as the key elements to the success of the university’s that need to be preserved. As technologies have grown more sophisticated and emerging industries have become more high-tech, Universities have become more important players in the process of invention, innovation and commercialization. Universities have become more entrepreneurial and look towards technology transfer into non-traditional fields, there is a need for alternative conceptualization of technology transfer that are more accurate and realistic than the traditional linear model and that are generalizable to the nuances of the university to which they are applied. Office of Research, Innovation & Commercialization (ORIC) provides end to end services for all matters pertaining to research & development, innovation, Inventions, commercialization, patents, collaborations, arranging seminars/ colloquia/ symposium/ conferences/ workshops, etc. and/or research publication honorarium. By and large Office of Research, Innovation & Commercialization (ORIC) is the focal point for all research related activities of the University. ORIC facilitates the University researchers (faculty members and scholars) to promote their research work both nationally and internationally. If you want to present your research work in international conference(s), organize a seminar/ workshop/ conference or conduct a research project. Please visit Office of Research, Innovation & Commercialization (ORIC) for further assistance and guidance on available funding opportunities. For additional information please browse relevant section of the web-page. To improve Human Resource Development Programme and explore funding for establishment of Research Labs at ZU in its various Departments. To strengthen international linkages particularly with American universities based on joint research proposals for international funding. To hold regular scientific seminars, colloquia, symposium etc. at Ziauddin University to promote the culture of interaction and sharing of scientific knowledge with researchers around the world. To prepare the research Policy for the University. To explore possibilities of projects based on public-private partnership. Department of Research has designed Certificate Courses, workshops to facilitate physician, junior faculty and mid career clinicians, graduate & undergraduate students. 1. The journal should be regularly published. Column of the above table to HEC Library on gratis. 2. The journal should have diverse Editorial Board / Advisory Board The credential s of the Board members should be taken into consideration. Fifty percent of the Board members should be from t he outside. 3. It should be Peer Reviewed. 5. 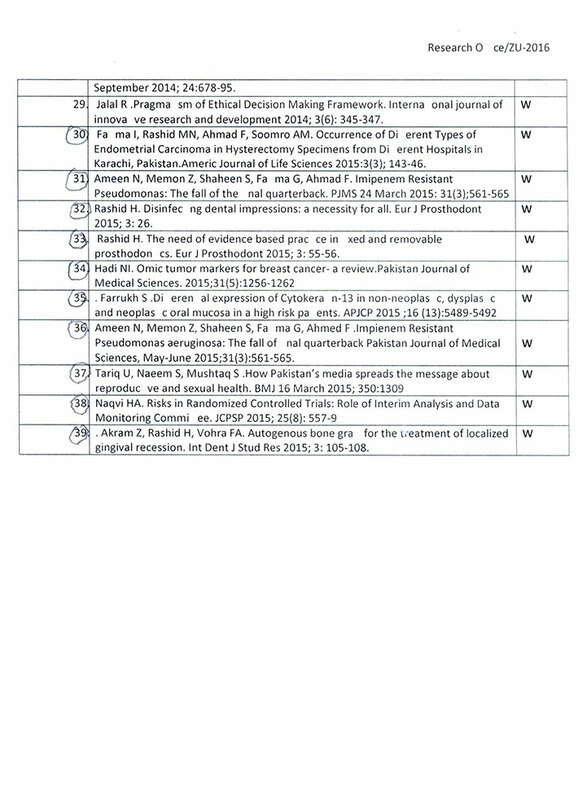 The journal published in any language other than English should publish abstract of each paper in English. 6. 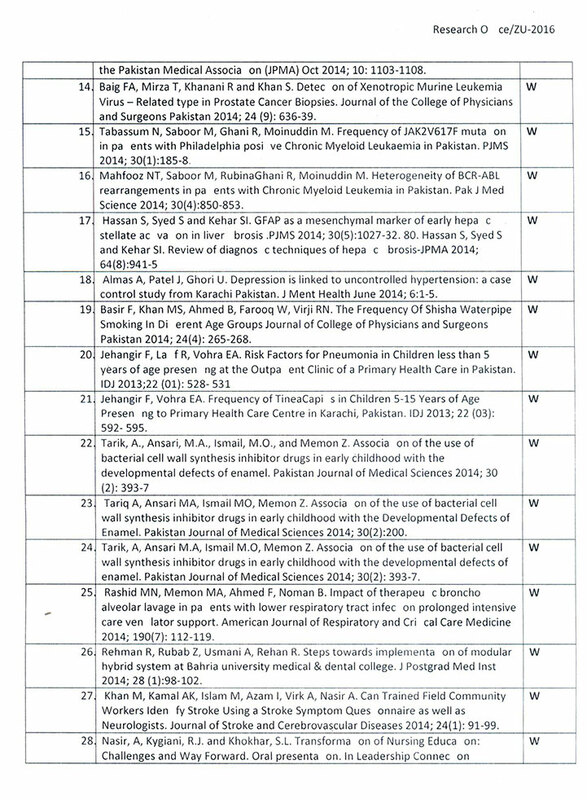 References should be provided according to the international standard as per policy of the journal. The meeting phrased the following definition of t he HEC Recognized Journal / Journal of International repute.’ A journal published regularly, having diverse editorial /advisory board, peer reviewed by at least two reviewers (including one international) and abstracted /indexed internationally. 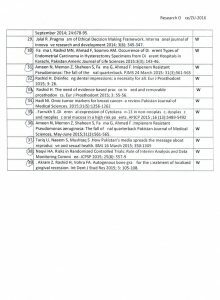 i) Review of each paper by at least one expert from an Industrially/Academically advanced country in the respective discipline. ii) Abstracted / Indexed Internationally by a recognized Agency. 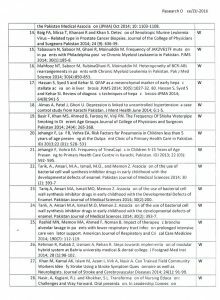 W: Acceptable for Tenure Track System X: Acceptable for BPS appointments/ promotions, HEC Approved Supervisor and Publication of research of PhD work until 30th June 2011. 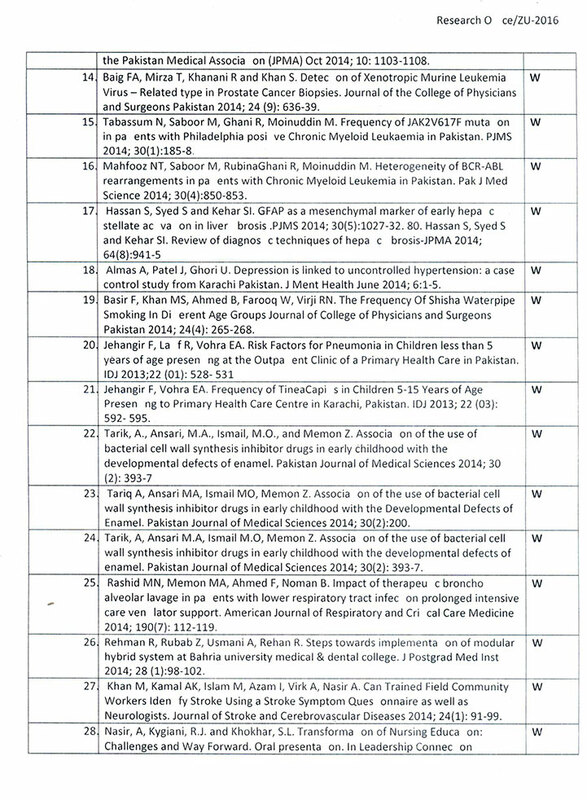 Y: Acceptable for BPS appointments, and Publication of research of PhD work until June 30th, 2011. 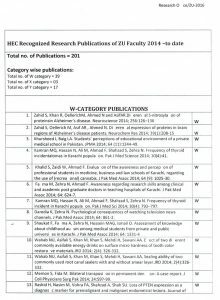 The Research Department facilitates and promotes the research publications to provide access to the faculty, graduate and undergraduate students of Ziauddin University and other National Universities. 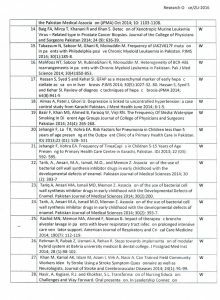 The Pharmacy Laboratories & Animal House of Ziauddin University also provide research support if required in the projects. We are proud to announce in the year 2017 Ziauddin University has awarded three PhD degrees. Address: 4/8 shahra-e-ghalib, block 6 ,Clifton, Karachi-75600, Pakistan.